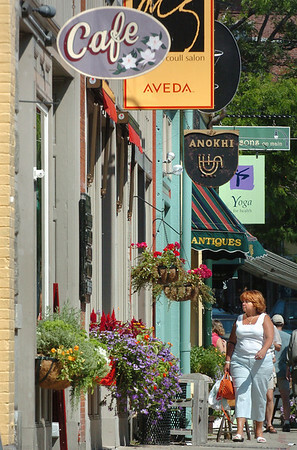 Gloucester: Mary E. Frasca walks along Main Street Monday while doing some shopping. The past weekend was the sales tax holiday. Frasca said she purchased a television out of town for her mother on Sunday. "I probably wouldn't have gone yesterday since it was so nice out," she said, but she decided to take advantage of the tax break.